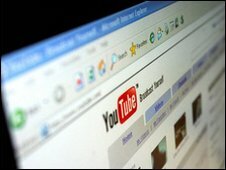 YouTube’s parent company Google has announced on its blog that automatic captions are to begin to roll out across the site. The machine-generated captions will initially be generated in English. At first they will only be found on 13 channels. These include National Geographic, Columbia, as well as most Google and YouTube channels. The software engineer behind the technology, Ken Harrenstien, is deaf. Currently YouTube offers a manual captioning service but video makers tend not to use it. “The majority of user-generated video content online is still inaccessible to people like me,” Mr Harrenstien wrote in the Google blog. His solution combines automatic speech recognition with the current caption system. The translation is not always perfect (in a demonstration the phrase “sim card” becomes “salmon” in text), but Mr Harrenstien says that the technology “will continue to improve with time”. Alternatively users can upload a transcript of their video and auto-timing algorithms will match the text to the words as they are spoken. Vint Cerf, vice president at Google, is widely recognised as a founding father of the internet. He is also hard of hearing and has worn a hearing aid since the age of 13. “One of the big challenges of the video medium is whether it can be made accessible to everyone,” he told news agency AFP. Earlier in the week YouTube announced the launch of YouTube Direct, a feed of uploaded amateur videos of newsworthy events such as protests and extreme weather conditions. It is aimed at the media industry, and editors who subscribe will be able to request the phone numbers of contributors. So far it has been trialled by a select group of radio stations, newspapers and websites in the US. You are currently browsing the archives for the YouTube category.